Though conventional pairing has cigarettes and coffee going together, researchers have found that the toxic chemicals in tobacco may hamper taste bud regeneration, resulting in smokers not being able to adequately taste the bitterness of their regular cup of joe. The researchers, led by Nelly Jacob of the Pitié-Salpêtrière Hospital APHP in France, published results of their study in the journal Chemosensory Perception. 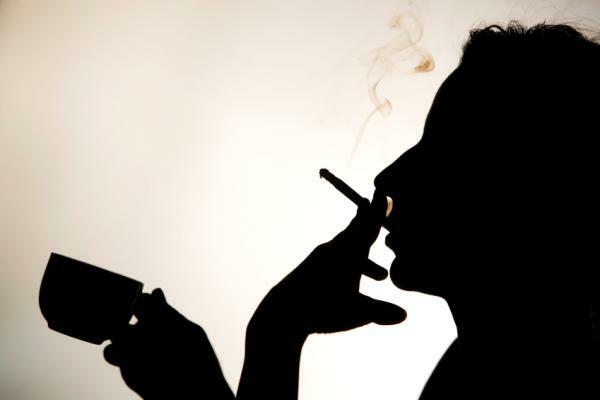 They note that tobacco’s chemicals are already known to cause a loss of taste in smokers, as well as structural changes to the fungiform papillae of the tongue – where taste buds are found. What has been unknown is to what extent smokers’ taste range is affected, whether it returns to normal upon quitting smoking and if so, how long that takes. To further investigate the changes in taste buds caused by smoking, Jacob and colleagues tested the ability of 451 study participants to recognize and rate intensity of the four basic tastes – sweet, sour, bitter and salty. Smokers may not be able to fully taste the bitterness of coffee, researchers say. A person’s ability to recognize salty, sweet or sour tastes was not influenced by smoking status, the researchers say. However, smoking status did affect their ability to taste the bitterness in caffeine. While bitter receptors in the tongue are normally able to detect this sensation in even low concentrations, nearly 20% of smokers were not able to correctly identify the taste. Of the former smokers, 26.5% were not able to identify the taste, while only 13.4% of the non-smokers were unable to correctly identify the bitter samples.